Making the choice to end your marriage is never easy, and it is a decision that should not be taken lightly or done in haste. While there are situations, such as those involving domestic violence, alcohol abuse, or illegal activity, that may require you to immediately get out of the relationship, generally you should take time to think through the potential ramifications. At our office, we can provide the legal information you need to make an informed decision. 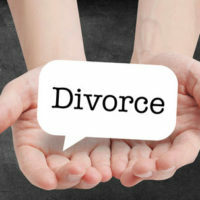 The following are some general tips to consider, which can help you know when you are truly done and ready to commence divorce proceedings. There is minimal communication between you and your spouse. You no longer do things together as a couple. You find yourself staying away from home for longer periods. When you are both at home, all you do is fight. Other people take priority over your spouse, or you may be considering an extramarital relationship. Do not make the decision to get a divorce when you are angry. If you just had a major fight or found out your spouse is having an affair, you may be tempted to exclaim, “I want a divorce.” Give yourself at least 24 hours to reassess the situation, which can help avoid rash decisions you may later regret. Think it through. While you may having a vague dissatisfaction with your marriage, think through the reasons before you pursue divorce. You may be able to identify problems that are able to be fixed, and can save yourself the time and money of discovering this after legal documents have been filed. Adjust your expectations. Consider issues related to money and property, how you will provide for yourself after divorce and the impact it will have on your children. While our Fort Lauderdale divorce attorney has successfully guided many people through this process and onto happier lives, you want to be sure your expectations are realistic. While a marital breakup is never easy, our Fort Lauderdale divorce attorney is here to provide the trusted support and legal protection you need throughout the process. Request a consultation to discuss your situation and the options available. Call or contact attorney Vanessa L. Prieto online today.